Writing about Paris while being in Rome... Well it looks like I am not the only Roman-based one who fell in love with the French capital. Remember the food tour I went on last July, which made me discover the typical Roman recipes and best food specialities (you can read about here by the way)? It was organised by The Roman Guy*, a passionate team of young Italy travel experts and trip planners whose main aim is to infuse fun into their tours to offer a different experience from what you can usually expect from a similar service. Thanks to their heartfelt work and the positive feedback they've gathered from clients, they have decided to apply the concept to... Yes, you got the answer from the beginning, Paris! French capital, one of my favourite cities, another world for people to discover. I must say I was quite excited when I learnt the news and wanted to know what content they would offer for the City of Lights: they really hit the nail on the head with three different tours. The Louvre being the biggest museum in the world with more than 38,000 works of art and thousands of people waiting in line just to see Mona Lisa (that we have not stolen from Italians), we can all agree that popping by the majestic place is a must-do. I remember going there several times on school trips and not being able to complete the visit (ever) given the size of the museum. I also need to precise that I have never had the opportunity to actually visit it with a guide, which I am convinced would be a lot of fun with a guide who knows it by the back of their hands and provides you with fun facts along the way. Fortunately for your schedule and precious time in Paris, the Louvre Tour offer skip the line privileges. Have you ever heard about the Catacombs before? Not only does it appear in the Hunchback of Notre-Dame, but this very famous place is also the world's biggest grave. For long, its mysteries have remained uncovered though, and not everyone knows about its history and people. I wouldn't think of visiting it in the first place, but I reckon the Catacombs tour offered by The Paris Guy would be a great occasion to discover more about it (while always skipping the terrible queue awaiting anyone visiting Paris)! In spite of living in Rome, one of the most beautiful cities in Europe, I can't help but thinking the Château de Versailles is an extraordinary ambassador of the French beauty and history. 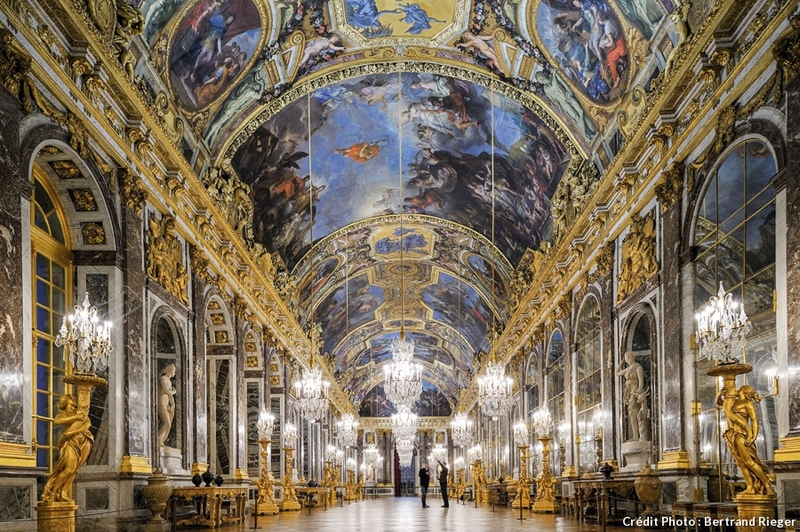 Residence of Sun-King Louis XIV, built in a baroque architecture, the place is particularly noteworthy for its Galerie des Glaces (Hall of Mirrors) which for sure makes every French (and foreign) people gape in awe. 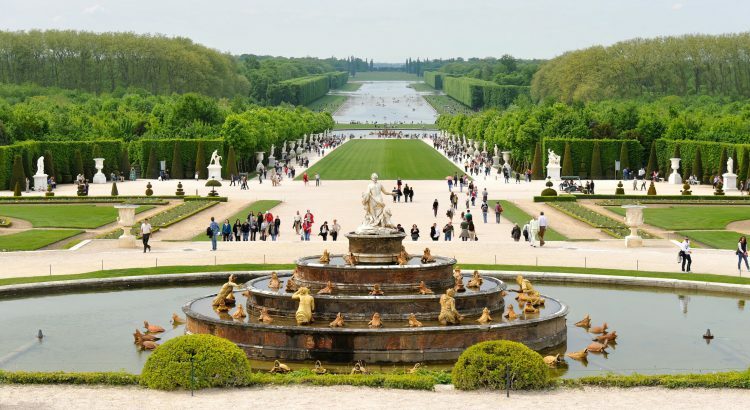 Between its 2,000 rooms and incredible jardin à la française, Versailles is a must-see if you pop by Paris - and no worries, The Paris Guy takes care of everything, from the train trip (it is just outside the capital) to the palace's special visit. Have a look at the Versailles Tour here! What I enjoyed the most during my Roman tour was the fun I experienced and the passion of the guide who made us discover a bit of Rome. That's why I honestly can't wait for The Paris Guy and its guides to make people discover more of my beloved capital, Paris, as I know many will immediately fall in love with the city. *This post was sponsored by The Roman Guy. For more information, please head over to my disclaimer. I miss Versailles, it was so beautiful there! I've been to Paris before but I never went to the Catacombs- it sounds so fascinating, now I really want to see it. I feel like a lot of people find that sort of stuff creepy, but I don't! © Bonjour White. All rights reserved.